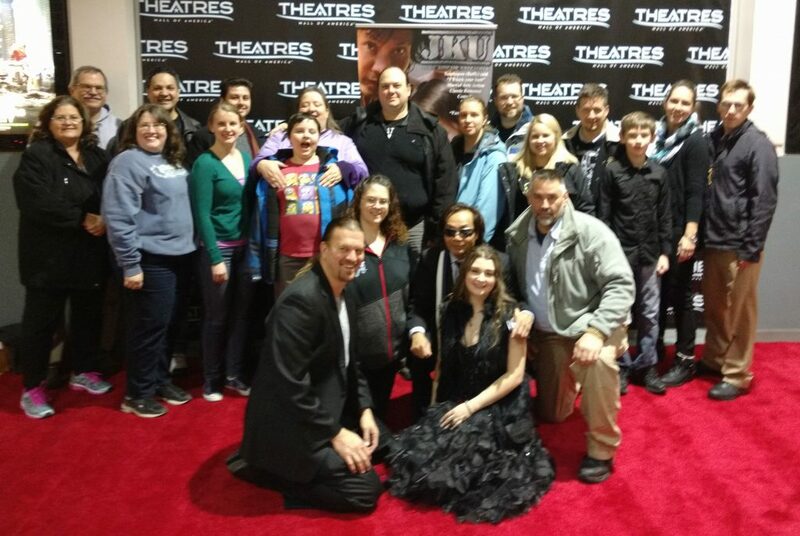 So, last night WTMA students and some family members got to attend a movie premier at the Mall Of America theaters. 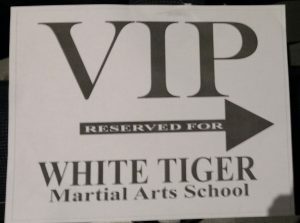 This came about due to having connected to JJ Stomp after learning that he was a Brooklyn Park (MN) martial artist…and actor. When he announced his movie (JKU: John Kincaid Unleashed) would be playing at MOA, I sent a congratulatory note. His response was to send us 20 tickets and invite us to attend as a VIP group! Once we got to the theater, he was there greeting everyone and enjoying the event. His humble personality made attending even more fun. As we chatted with the other actors, we found them to be just as humble. It was also evident that all of them understood the work required to create such a project and become successful. I believe that there will be much more success for JJ Stomp and all those who work with him. I look forward to watching…and helping as I can. Below are a couple more pictures from the night. Master F. and Tanya Bartelt posing with the movie’s hero, Agent David Lee (JJ Stomp). 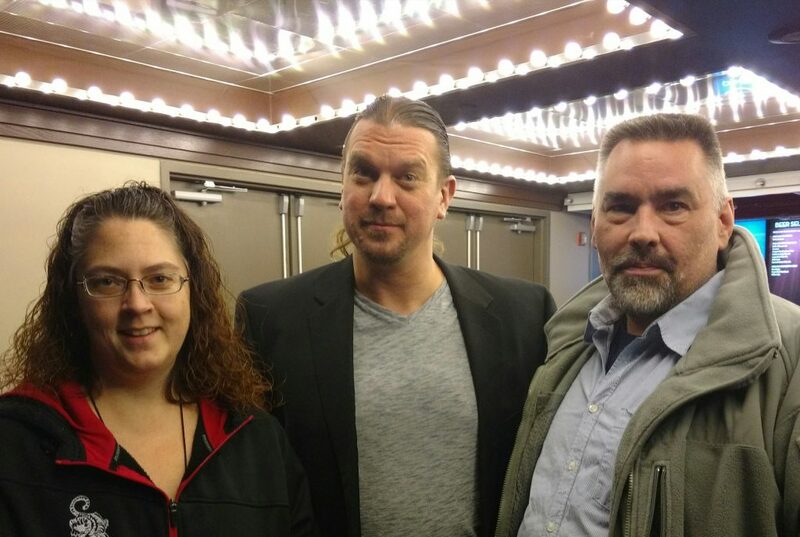 Master F. and Tanya Bartelt caught up with the movie’s nemesis, John Kincaid (Edwin Olson), after the showing. Published by Master Robert Frankovich, in TC-Dojang.